The intriguing void measures 100 feet long. Khufu, the Great Pyramid of Giza. Courtesy of ScanPyramids mission. 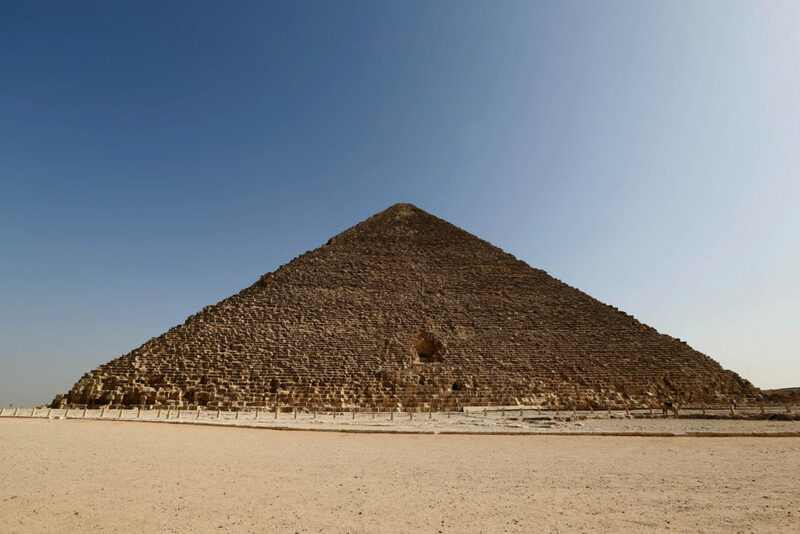 Thousands of years after it was built, the Great Pyramid of Giza continues to captivate the imagination of people the world over, and we’re still uncovering its mysteries. Now, thanks to advances in particle physics, scientists have discovered a massive void hidden inside the famed structure. A rendering shows the newly discovered void and known structures in the Great Pyramid of Giza. Courtesy of ScanPyramids. The discovery was first announced in 2016, with the team publishing their findings this week in the journal Nature after additional testing confirmed initial results. “The romantic interpretation and what everyone wants to hear is that this is a hidden room and the king’s body is inside or there’s grave goods we didn’t know about or we’re going to learn more about history… and none of that is responsible speculation at the moment,” Harvard University Egyptologist Peter Der Manuelian told NPR, discouraging such exciting notions. A burial chamber would surely have had an entrance, experts point out. More likely, the empty space served an engineering purpose for the architects. It could have been an internal ramp during construction or intended as a means of lessening the load born by the three known chambers—the King’s Chamber, the Queen’s Chamber, and the Grand Gallery. No new interior spaces have been discovered in the pyramid since the 19th century.